I had to do them. me and brought me here. "You can't jail my passion,"
You can't jail my fire. of this jail. "Come to Papa!" 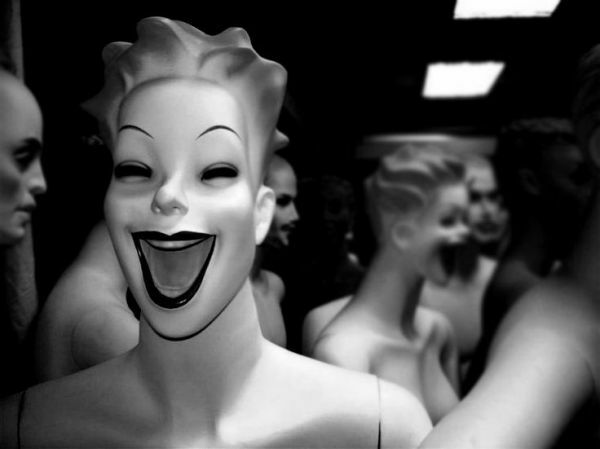 Poet's Notes: We've all been exposed to stories about dolls and mannequins that come to life. Recently, while walking through a department store, I "saw" a mannequin move very slightly. I recognized this as a perceptual error, but the experience was still unsettling. I decided to write a poem about mannequins-in-motion, and this is it.